The world dividend is derived from Latin world dividendum. In accounting terms – the profit distributed to shareholders. In financial terms – the return on investment of short term investor. Dividend is generally paid on two types of instruments viz. As per section – 2(35) of Companies Act, 2013 dividend is defined as “dividend includes any interim dividend”. After enactment of Companies Act, 2013, the concept of payment of dividend is very liberalized. This is because when we compare the provisions of Companies Act, 1956 with the provisions of Companies Act, 2013 various relaxations regarding payment of dividend are provided in Companies Ac, 2013 Act. In this article, we will discuss various provisions provided in section – 123 related to dividend under Companies Act, 2013. Provided also that no dividend shall be declared or paid by a company from its reserves other than free reserves. In simple, dividend can be paid out of the profits of current year or previous years or both. Let say if company incurred losses in current year even then it can distribute dividend if it has profit remaining undistributed in previous years. Further if the company has negative balance in profit and loss account in the beginning of current year and company earns profit in current year but that profit is insufficient to cover the losses of previous year (i.e. profit and loss account shows negative balance after accounting the profit of current year) even then dividend can be distributed out of the profit earned during current year. In nutshell, if company earned profit in any year preceding the current year or in current year, than that profit can be distributed as dividend irrespective of losses incurred by company in any of the year. However that profit must be kept intact in profit and loss account. In other words, if profit is transferred to reserve than second proviso to section – 123(1) will apply. Further, for working out the profit for dividend purpose, depreciation must be provided in accordance with the provisions of schedule II. The provision of depreciation for working out the profits is must in Companies Act, 2013. However in Companies Act, 1956 central government was conferred with the power to allow payment of dividend without providing depreciation. Further, additional depreciation which has to be provided only because of revaluation of assets is permitted to be transferred to Statement of profit and loss account. So due regard is given to depreciation in Companies Act, 2013…. this may be to protect the interest of lenders. In Companies Act, 1956, it was mandatory to transfer the profit to general reserve before declaring dividend but first proviso to section – 123(1) of Companies Act, 2013 provides that it is the discretion of the company to transfer the profits to reserve at such rate as it deems fit before declaring dividend. However, although it is not mandatory to transfer the profit to reserve, it may be noted that section – 134 of Companies Act, 2013 requires the board of director to make the statement that will provide the particulars of amount, if any, the company proposes to carry to its reserve. Further section – 135(3)(c) and section – 135(5) requires the board of directors to file directors’ responsibility statement. Therefore while board of directors now have discretion of transferring the profit to reserves, they will have to exercise this discretion responsibly and in the best interest of company. So, except for providing depreciation before declaring dividend, the concept of dividend is fully liberalized, which proved as legislative and judicial benediction to corporate sector. Second proviso to section – 123(1) provides that if company intends to declare dividend out of reserves because of inadequacy or absence of profit in any financial year, than it can do so subject to rules made by central government in this behalf. It is however be noted that this proviso is an exception to general rule that dividend can only be declared out of profits (i.e. profit and loss account) which means company can declare dividend from source other than profits (i.e. reserve). Further, if there is an inadequacy or absence of profits and company intends to declare dividend out of reserves only then rules made by central government will apply. It seems that if there is no inadequacy or absence of profit even then dividend can be declared out of the reserves because second proviso is an exception and in that case rules will not apply. This opinion is further warranted by the phrase used in the Act i.e. ‘any company proposes to declare dividend out of the accumulated profits earned by it in previous years and transferred by the company to the reserves’. Following the principle of ‘Substance Over Form’ the balance of the reserve is actually the accumulated profits of the company and dividend can be declared out of profits. Therefore the matter is debatable. Provided that this sub-rule shall not apply to a company, which has not declared any dividend in each of the three preceding financial year. Rule No. 3(2) provides that the total amount to be drawn from such accumulated profits shall not exceed one-tenth of the sum of its paid-up share capital and free reserves as appearing in the latest audited financial statement. Rule No. 3(3) provides that the amount so drawn shall first be utilised to set off the losses incurred in the financial year in which dividend is declared before any dividend in respect of equity shares is declared. Rule No. 3(4) provides that the balance of reserves after such withdrawal shall not fall below fifteen per cent of its paid up share capital as appearing in the latest audited financial statement. Third proviso to section – 123(1) provides dividend can only be declared out of free reserve. Example:- Dividend cannot be declared out of revaluation reserve. Fourth proviso to section – 123(1) was inserted by Companies (Amendment) Act, 2015 which provides that dividend can only be declared when carried forward previous losses and depreciation not provided in previous year/s are set off against the profit of the company in current year. Section – 123(2) provides that for the purposes of clause (a) of sub-section (1), depreciation shall be provided in accordance with the provisions of Schedule II. 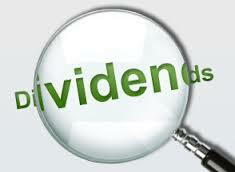 Section – 2(35) provides that “dividend” includes any interim dividend. This definition was first provided by Companies (Amendment) Act, 2000. Before Companies (Amendment) Act, 2000, payment of dividend on interim basis was provided in article – 86 of Table A of Companies Act, 1956 and it has been a practice with the companies to pay interim dividend. And may be due to this reason, dividend was defined to include interim dividend under Companies (Amendment) Act, 2000. Before Companies (Amendment) Act, 2000, dividend can be paid on interim basis if so authorized by articles. However, in terms of section – 205(1A) of Companies Act, 1956 and section – 123(3) of Companies Act, 2013, the power to declare dividend on interim basis is statutorily conferred on the companies and now there is no need of power in Articles of Association to declare interim dividend. Likewise final dividend, interim dividend should also be paid out only from profits. The payment of interim dividend is the discretion of board. The board should have to give due regard to adequacy of profits remaining after provision of depreciation while exercising its discretion for payment of interim dividend. Further proviso to section – 123(3) provides that interim dividend cannot be paid at the rate higher than the average rate of dividend declared in 3 preceding financial year if company incurred losses during current financial year up to the end of last quarter preceding the date of interim dividend. Let say today is 5th January, whether proviso to section – 123(3) is applicable? So what has to be seen is the aggregate of profit / loss up to the end of last quarter. Also there is minute difference between interim dividend and final dividend i.e. a final dividend once declared by members in general meeting becomes a liability of the company and creates a enforceable obligation but declaration of interim dividend by board does not create any liability and that declaration may be cancelled any time before actual payment of interim dividend. The cancellation can be done even if amount of interim dividend has been transferred into separate bank account. Further declaration of interim dividend is not subject to be approved by members in general meeting rather it is a power of board to declare interim dividend. Clause 81 of Table F of Companies Act, 2013 provides that subject to the provisions of section 123, the Board may from time to time pay to the members such interim dividends as appear to it to be justified by the profits of the company. However DCA issued its view on interim dividend which states that approval of dividend is the privilege of general meeting and board can pay interim dividend if so authorized by the articles of association subject to regularization of interim dividend by company in general meeting (Letter No. 8/13/205 A/79-CL-V, dated 18-07-1981). However these are not binding per se. Further it was issued before Companies (Amendment) Act, 2000. Re, CIT Vs. Express Newspaper Ltd., the question before Supreme Court was of rebate on dividend under Income Tax Act, 1961. The Supreme Court is of the view that shareholders do not get any vested right under directors’ resolution for payment of interim dividend and therefore such resolution is revocable. However, vested right to dividend arises on declaration of dividend at general meeting. Section – 123(4) provides that the amount of the dividend, including interim dividend, shall be deposited in a scheduled bank in a separate account within five days from the date of declaration of such dividend. In case of final dividend, the amount of dividend declared should be deposited in scheduled bank in separate account within 5 days from the date of declaration of dividend by members in general meeting and in case of interim dividend, the amount of interim dividend declared should be deposited in scheduled bank in separate account within 5 days of declaration of dividend by board in board meeting. Provided further that any dividend payable in cash may be paid by cheque or warrant or in any electronic mode to the shareholder entitled to the payment of the dividend. This section further provides that dividend can only be paid in cash i.e. it cannot be paid in kind. First proviso to section – 123(5) provides that company may issue fully paid-up bonus shares out of the profits or reserves of the company without any restriction. It further provides that profits and reserves can be capitalized for paying up any amount which is, for the time being, unpaid on any shares held by the members of the company. Electronic mode for payment of dividend was not provided in Companies Act, 1956 in fact that was DCA circular under which the payment of dividend in electronic mode was provided. Section 123(6) provides that a company which fails to comply with the provisions of sections 73 and 74 shall not, so long as such failure continues, declare any dividend on its equity shares. Section – 73 contains the provisions regarding deposits accepted by private company from its members and section – 74 contains the provisions regarding deposits accepted by company before 1st April, 2014.